French country style decor for the kitchen. These kitchen tools not only look good, they are designed to perform to the highest demands. Saturated blooms are sure to add a touch of colorful charm to your kitchen. Stoneware holder on aluminum base. Use as a utensil holder, vine chiller, or with floral for a lovely centerpiece. Hand-painted with gold leaf details. When not using as a flatware caddy for entertainment, this piece looks lovely with succulents or floral! Designed by the editors of Paule Marrot Paris in collaboration with Anthropologie, this colorfully-printed dish towel invites the joy of springtime into your kitchen. Stoneware spoon rest on aluminum stand. Hand-painted with gold leaf details. Spoon rest also serves as a soap dish for kitchen or bath. Handcrafted pot holder. Embellished with a leather tab and brass grommet. Handcrafted apron. Embellished with a leather tab and brass grommet. Handcrafted oven mitt. Embellished with a leather tab and brass grommet. Handcrafted spoon rest. Hand-glazed steel under body. Hand-painted royal check decoration. Handcrafted utensil holder with heavy gauge hand-glazed steel under body. Hand painted royal check pattern. Rimmed in bronzed stainless steel. Handcrafted glass jar. Lid has heavy gauge hand-glazed steel under body. Hand-painted royal check decoration. Lid is topped with brass bobeche and glass finial. Handcrafted small colander. Heavy gauge hand-glazed steel under body. Hand-painted royal check decoration. Rimmed in bronzed stainless steel. Antiqued brass handles. Handcrafted recipe box of hand-glazed steel under body. Hand painted royal check decoration. Glass and brass accents. Includes set of recipe cards and recipe card dividers. Handcrafted paper towel holder. Acacia wood base with hand-glazed and hand-painted royal check plate. Stainless steel center post and glass knob finial. Handcrafted pitcher. Hand-glazed steel under body. Hand-painted royal check decoration. Pretty blooms and a playful peacock invite warmth and whimsy into your kitchen. Handcrafted canister. Heavy gauge hand-glazed steel under body. Hand painted royal check decoration. Rimmed in bronzed stainless steel. Brass and glass accents. Cheese, grapes, and a wine make this collection a colorful and fun addition to any kitchen. Classic array of white grapes draping over a serving of cheese and paired with a bottle of white wine placed on a neutral canvas. 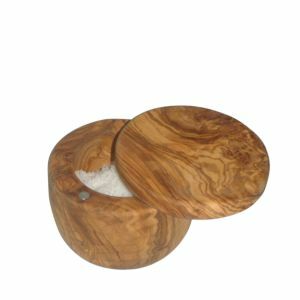 This 5 piece hand painted set includes: oil, vinegar, salt, pepper and a clever caddy that has a napkin holder compartment. Grapes, cheese, and a wine motif make this collection a colorful and fun addition to any kitchen. Classic array of purple grapes draping over a serving of cheese and paired with a bottle of red wine placed on a light blue canvas. Comes with a gasket lined lid for food safety. Cheese, grapes, and a wine make this collection a colorful and fun addition to any kitchen. Classic array of white grapes draping over a serving of cheese and paired with a bottle of white wine placed on a neutral canvas. This utensil holder set includes 4 utensils. Grapes, cheese, and a wine motif make this collection a colorful and fun addition to any kitchen. Classic array of purple grapes draping over a serving of cheese and paired with a bottle of red wine placed on a light blue canvas. This 3 piece spice jar set comes in a convenient portable rod iron carrier. Cotton. Machine wash; line dry. France Cheese, grapes, and a wine make this collection a colorful and fun addition to any kitchen. Classic array of white grapes draping over a serving of cheese and paired with a bottle of white wine placed on a neutral canvas. This set of 2 is ready to collect your spills or just brighten up your kitchen. This stainless steel whisk is topped with an adorable little cat with luxe gold detailing. 18/8 stainless steel, stoneware Decaled stoneware With each boldly hued petal and bursting bloom, Bay Area-born Bridgette Thornton engages in playful exploration of the relationship between depth and color. Her subjects - whether arranged in a vase or sprouting in a field - take on the organic vibrancy typically reserved for things found only in the natural world. A charming farmhouse-inspired motif decorates this White Rooster ceramic utensil crock from Home Essentials. Use it on your kitchen counter to keep cooking tools organized and within reach. Heavy-gauge, hand-glazed steel under body bowl. Hand-applied transfer decoration rimmed in bronzed stainless steel. Stephanie DeAngelis is a fashion-loving artist living with her dog Remy in sunny Los Angeles. Working primarily in graphic design and illustration, she creates colorful images that most often celebrate women and style. La Rochere's Napoleon Bee utensil holder can be used as a vase or a candle holder as well as a kitchen utensil holder. The bee was chosen by Napoleon during his coronation as his symbol and was used on fabrics, carpets and flags. Steeped in tradition La Rochere is the oldest glass factory in France. 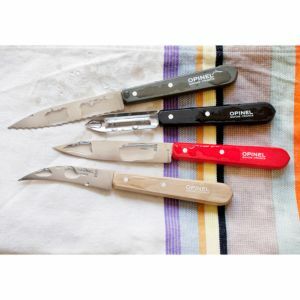 Set includes: 7.6"L paring knife, 7.6"L serrated knife, 6.6"L vegetable knife and 6.1"L peeler. Stainless steel A woven pattern adds texture and classic charm to this set of three white porcelain Basketweave Canisters from the Martha Stewart Collection. Bring stylish organization to your counter or a pop of color to a sideboard with this canister set from Le Creuset, three contemporary pieces with a sleek gradient look. Cookbook stand crafted of aluminum and brass. From Gourmet Basics by Mikasa, this French Countryside fruit basket with banana hanger is inspired from the classic French Countryside dinnerware featuring a sophisticated design. Its timeless design complements any décor. Handcrafted utensil holder. Heavy-gauge, hand-glazed steel underbody with hand-applied transfer decoration. Rimmed in bronzed stainless steel. Heavy gauge hand-glazed steel under body with hand-applied transfer decoration. Rimmed in bronzed stainless steel. Antiqued brass handles. Flower Market cutting board. Tempered glass with hand-applied Flower Market art. May be used as a trivet (heat resistant to 780 degrees Fahrenheit). Dishwasher safe. Steel, brass, polycarbonate, PVC La Rochere's Perigord utensil holder can be used as a vase or a candle holder as well as a kitchen utensil holder. The design is inspired by 18th century glasses from the reign of Louis Xvi. Steeped in tradition La Rochere is the oldest glass factory in France. 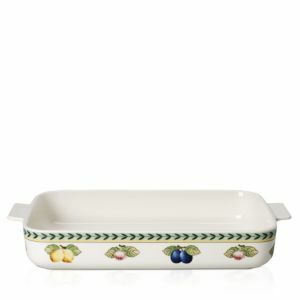 Featuring a farm fresh motif, this bakeware brings rustic charm to the table Handcrafted basket. Hand-woven iron nest with cast-iron chicken. With fanciful beading and feminine edges, this canister set from the Lenox French Perle dinnerware collection has an irresistibly old-fashioned sensibility. Versatile porcelain in a soft white hue with antiqued trim makes a graceful addition to any meal. Handcrafted glass mixing bowl set. Handcrafted paper towel holder. Aluminum. Handcrafted stoneware and mango wood rolling pin. Mango wood boat. Arrives in gift box. Get your point across—GG Collection style. Notes to self, grocery lists, reminders, and more gain added emphasis when you jot them on this ceramic memo board Three textured glass canisters topped by elaborately detailed metal lids and held within a metal stand. From the GG Collection. Made of cast aluminum. Post with ornate finial fits loosely in center twisted stem; does not screw on or fit snugly. Three ceramic canisters rest in an ornately crafted stand and are topped with accentuating metal finials. These pieces coordinate with our dinnerware and accessories. Canisters feature pretty raised scrolls and antiqued metal accents. Cream ceramic pieces are dishwasher safe. Canisters come with matching lids and tall footed bases. Utensil holder crafted of ceramic and cast aluminum. 6.25"Dia. x 7"T. Ceramic is dishwasher safe. Handcrafted measuring cup holder; measuring cups not included. Made of cast aluminum. Hand-painted finish. Handcrafted . Sustainable mango wood with metal inlay. Hand finished. Handcrafted trivet. Mango wood with aluminum inlay.